A stray shower or thunderstorm is possible early. Mainly cloudy. A few peeks of sunshine possible. High 59F. Winds NNE at 10 to 15 mph..
A stray shower or thunderstorm is possible early. Some clouds this evening will give way to mainly clear skies overnight. Low 33F. Winds light and variable. With your holiday decorations stashed away and resolutions for a less-cluttered home in mind, January is an excellent time of year to clean up the bathroom. While it can be a challenge to keep this small but mighty room in top shape, going for a sleek, functional look can help. If you’re ready to update your bathroom routine, consider the following high-tech appliances and modern decor. No more lunging over the bathroom counter to do your mascara — this wall-mounted swing arm mirror will make doing your makeup much easier. With five times magnification for precise makeup application, and a beautiful bronze finish, it’s a powerful tool to add to your beauty arsenal. In the bathroom, it’s the little things that can make the experience so much better, like this teak shower bench. A versatile object that can be used to stow towels, as a footrest when shaving your legs or for setting a book on while you’re in the bath, it’ll make all the difference. 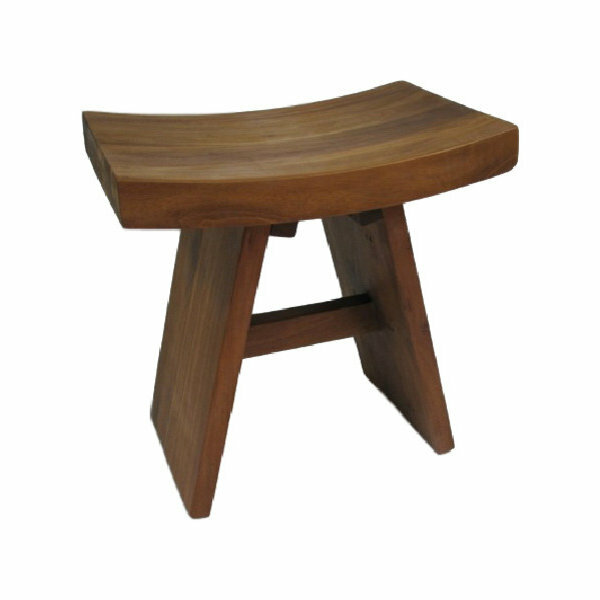 Crafted from naturally antimicrobial teak, this shower bench is also meant to handle water exposure. Having crisp, clean towels to dry off with after a hot shower is a must. 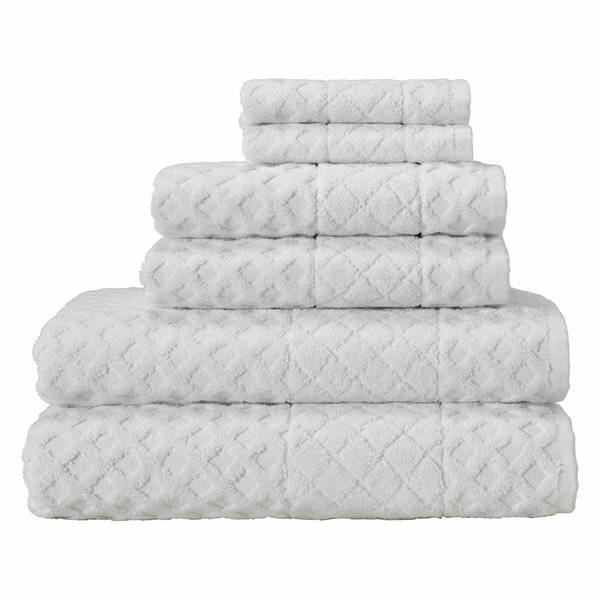 If your towels have been feeling old or threadbare, it may be time to invest in this set of six Turkish cotton towels. Available in six different colors and featuring an attractive cross-hatch design, they’re the perfect addition to any bathroom. Avoid the dread of stepping out of a hot shower by keeping all of your towels warm and toasty. 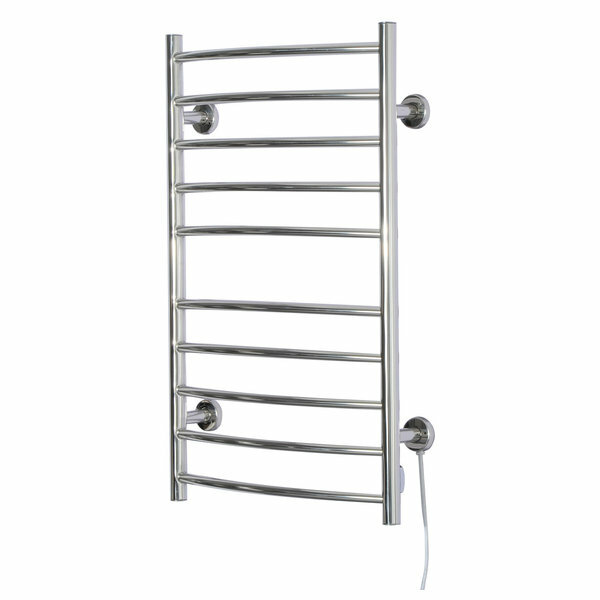 This towel warmer rack quickly and evenly heats up and can hold several towels or bathrobes at once. 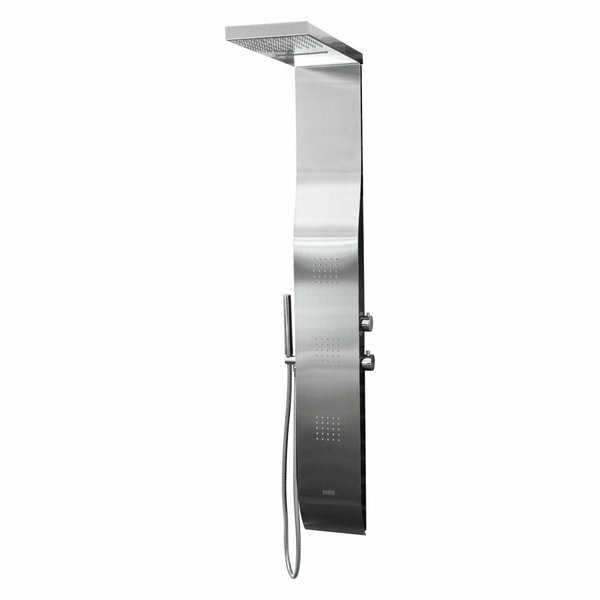 Wall-mounted with a beautiful curved shape, it will make your home bathroom feel like a resort. When you’re applying makeup in the morning or before a night out, it can be difficult to know how your bathroom’s lighting differs from other spaces. With this LED mirror, you’ll have a color temperature that mimics natural daylight, so you can be sure your makeup will look just right wherever you go. 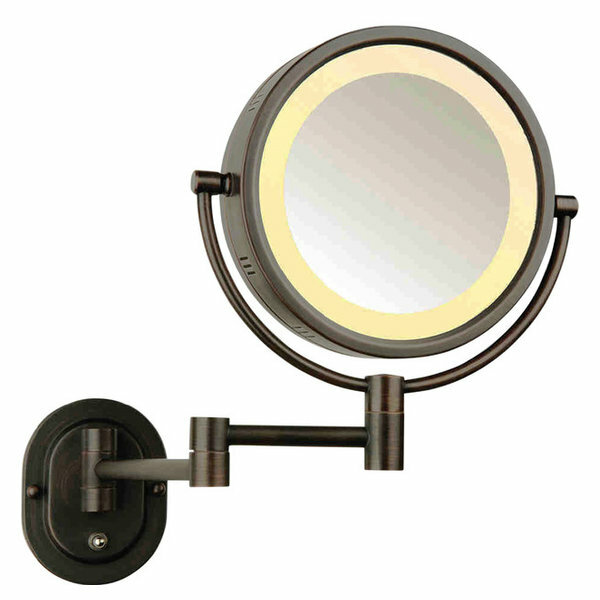 With energy-efficient lighting and a sleek contemporary look, this mirror will also keep your bathroom looking great. One of the simplest ways to make your bathroom more inviting is to make it smell nice. This electric aromatherapy diffuser not only will add a decorative touch to your bathroom, but will make it smell just like a spa. 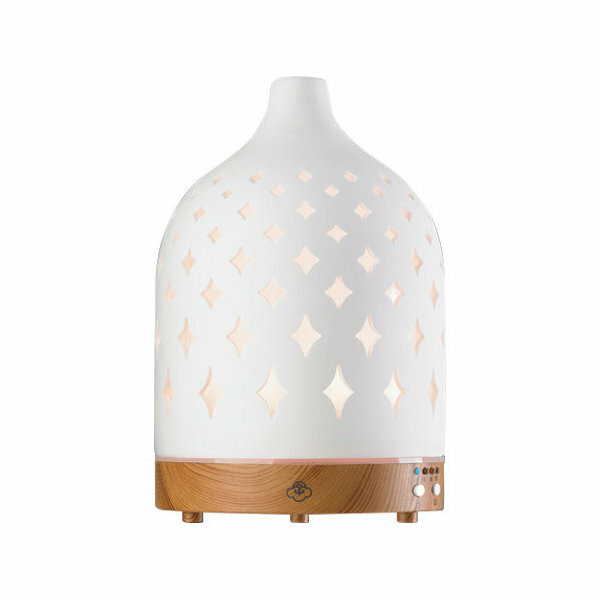 Simply add water and an essential oil of your choice, and the diffuser will disperse a fragrant mist into the air. 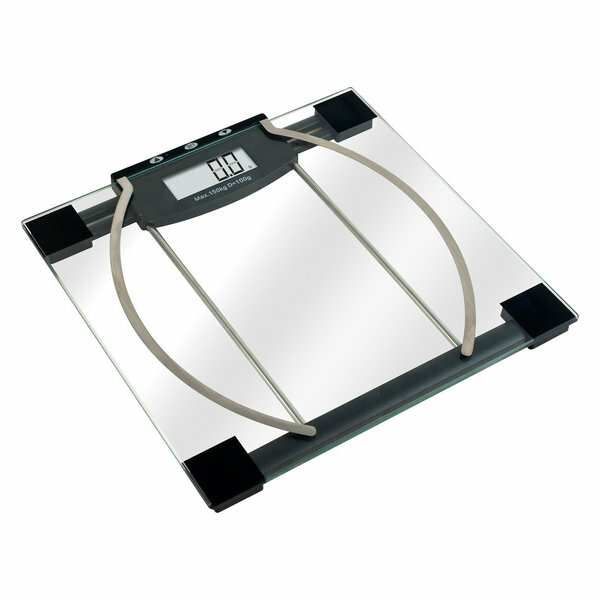 Whatever your health goals, keeping a scale in your bathroom can be a great way to stay on track. This digital scale includes body weight, fat and hydration measurements so you can get precise measurements of your body and see your progress. This scale can also store readings for up to 10 different people, so multiple members of your family can keep an eye on their health. Taking a shower is something most of us do every day, so why not ensure it’s an enjoyable experience? This hand held shower head comes with 10 different settings, so everyone in your house can find one that makes them happy. It also comes with a water saving switch, which allows you to cut your water usage in half — perfect while shaving or applying shampoo. 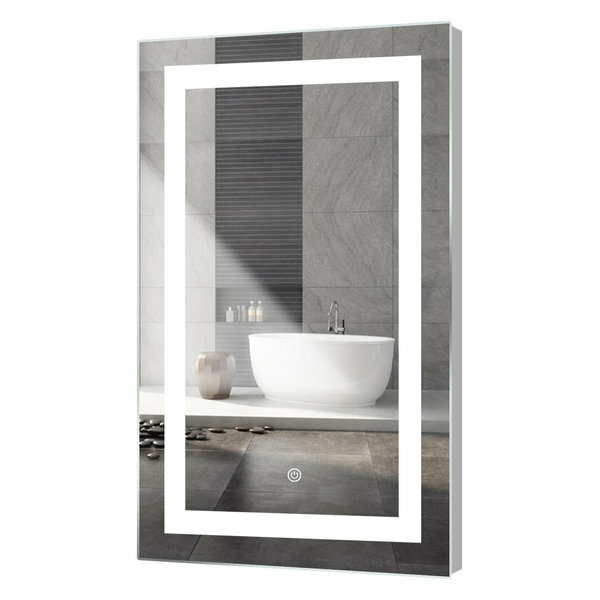 For a truly luxurious shower, try installing this waterfall shower panel in your bathroom — and be ruined for all other showers. 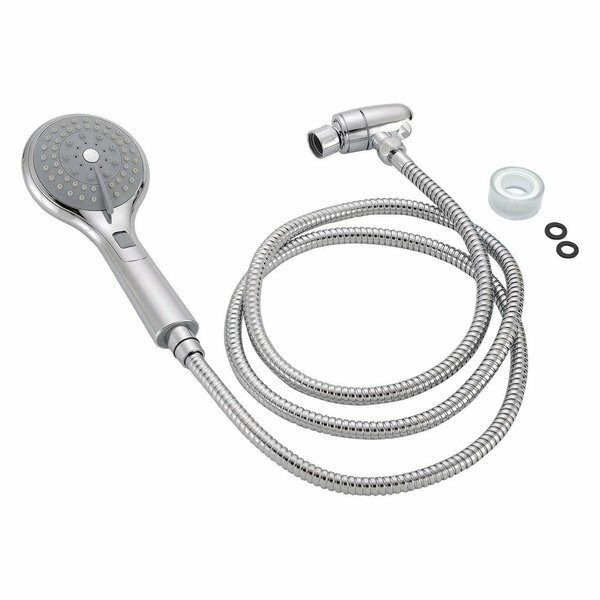 Complete with a large, fixed shower head that will fully cover you with water, body jets and a hand held shower head, this is the ultimate way to rinse off. 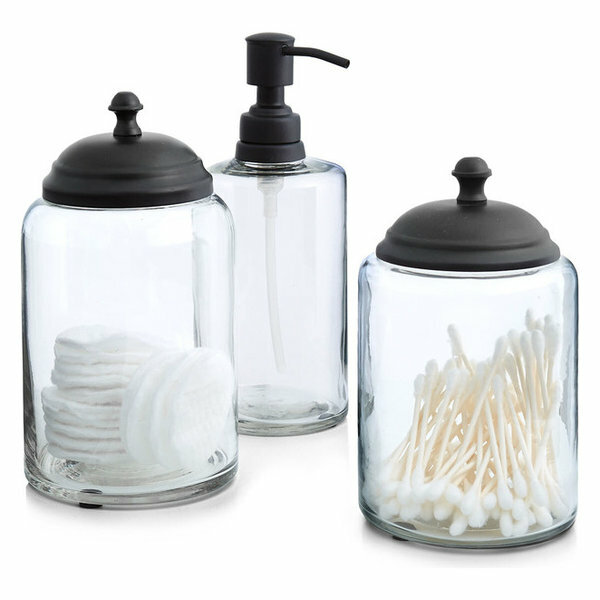 Say goodbye to bathroom clutter when you opt for this three-piece glass canister set. With two jars and one soap dispenser, this container set is perfect for keeping Q-tips, cotton balls and any other bathroom necessities in order. And with a clean and classic look, these canisters will blend easily with almost any bathroom.